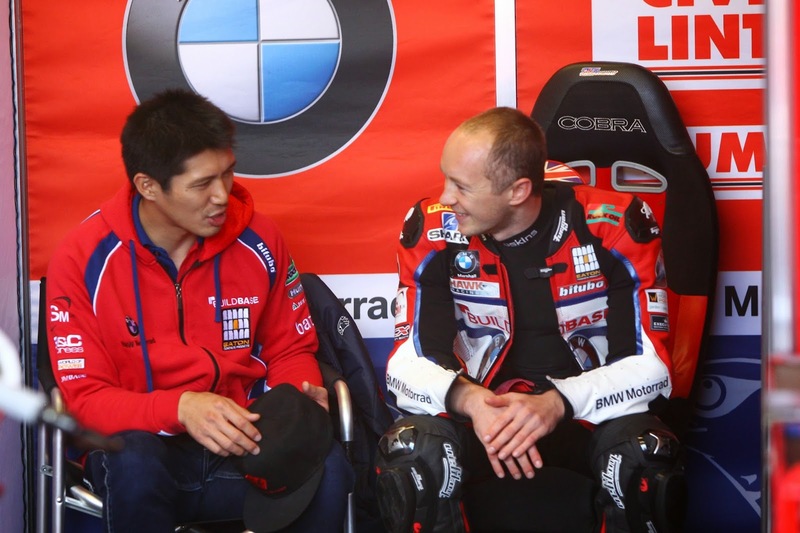 Kiyonari: "Looking back at this incredible season I am very, very happy"
Buildbase BMW’s Ryuichi Kiyonari was unable to compete in the last War for Four round at Brands Hatch this weekend after a crash in the third free practise session of the weekend which saw him fracture his collarbone. The Japanese rider has made a stunning turnaround of his season after a tough return to the series last year, winning his first race of 2014 at round four of the championship at Knockhill. Since July Kiyonari has been back to his best taking seven wins and six podium finishes in the British class, giving Byrne some strong competition for the title. Coming into Brands Hatch on the back of a second position and a win at Silverstone, the three time BSB champion was looking in strong form. However he crashed his BMW S 1000 RR at Graham Hill corner on his second lap of the session which ended his record breaking championship chance. Kiyonari kept an upbeat attitude following the break however, and is already thinking about the 2015 season:“I’m obviously disappointed not to get to battle with Shakey at Brands Hatch, but looking back at this incredible season I am very, very happy. Around one year ago I first spoke to Stuart Hicken and signed to ride the BMW S 1000 RR and we hoped, maybe, to win a race in 2014. We have done that seven times and we are second in the championship. I wanted to prove that I was still fast and now that is certain. Next Next post: Marquez crashes in Australia: "I was not riding on the limit"